After a rapid journey back from Gisborne, via some sharply winding roads, I arrived in Hawkes Bay, where I was due to meet with Rod Easthope at Craggy Range. But before we discuss Craggy Range, which is widely acknowledged to be New Zealand’s star winery, it’s worth saying something about Hawkes Bay in general, as well as its hugely important Gimblett Gravels terroir. As a wine region, Hawkes Bay contrasts sharply with Marlborough. For a start, it’s much older, first planted by missionaries in the mid-19th century, and then undergoing substantial development during the 1960s and 70s. Indeed, until recently, this was the heart of the New Zealand wine scene. It’s still New Zealand’s key red wine region, but in terms of size and reknown, Marlborough has now overtaken it. It is also more diffuse: you don’t really get wall-to-wall vineyard plantings here. Instead, the vineyards are spread out over quite a large area, surrounding the two larger towns in the region, Hastings and Napier. And while it’s not an ugly place, it’s not terribly pretty, either. The key to understanding Hawkes Bay is getting to grips with the soil. Terroir matters here. For many years people were attempting to grow red grapes, such as Cabernet Sauvignon, in the wrong places. Simplistically put, there are two major soil types here: rich, alluvial loams, and river gravels. Stick a Cabernet Sauvignon vine in loamy soil, and it will flourish, producing a dense, rich canopy. But the grapes will be rubbish: the vigorous vine will keep growing past veraison (the stage where the berries change in colour) and as a consequence, won’t ripen the grapes properly. The result: thin red wines with a distinct greenness. Stick them in the less fertile gravels, and vigour will be controlled, and you’ll have a chance to get good, ripe grapes. Of course, it’s a little more complicated than this. There are more than just two soil types in Hawkes Bay – for example, there’s the limestone in Havelock North, which has helped Te Mata make some very smart reds, particularly in warmer years. But the message is that the key to making top quality reds in Hawkes Bay is understanding terroir, and with the wide range of soil types this is quite complicated. There are also complex climatic variations, with factors such as coastal breezes mixing things up a bit, causing small but significant temperature variations among different sites. 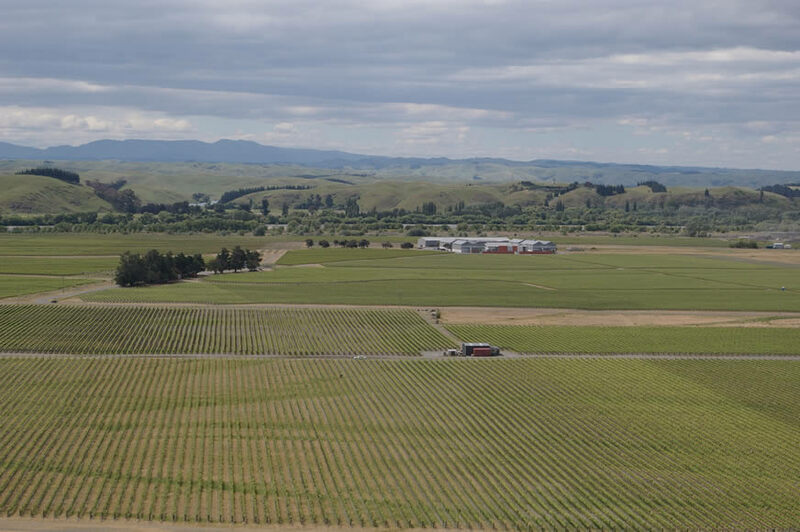 Almost bizarrely, Hawkes Bay’s most important terroir, the Gimblett Gravels, went unplanted until the 1980s, and as recently as 1991 just 20 hectares of vines were planted there. Now, however, it is the most important patch of ground in New Zealand for making red wines, and it’s a wonderful illustration of how the French concept of terroir matters even in the new world. The gravels were laid down by a river, The Ngaruroro, which changed its course after a flood in 1867. Located northwest of Hastings, the whole area is a sizeable 800 hectares, almost all of which is now planted with vines. Some 30 years ago, however, this now extremely valuable land was little regarded: it was not much good for grazing sheep, and nothing would grow here. The first person to think about growing vines here was Chris Pask, who bought and planted a small block in 1981. Shortly afterwards, he was joined by other pioneers: David Irving, Gavin Yortt, John Kenderdine and Alan Limmer. But this was pretty small scale, and it wasn’t until the early 1990s that larger plantings were made by the likes of Babich and Villa Maria. However, the Gimblett Gravels faced a serious problem. In 1988 150 hectares of this prime vineyard land was bought by a concrete company that wanted to extract the gravel to make roads with. A campaign against this planning application was started by a coalition of growers, who in the end persuaded the council that the best use of this land was for establishing world class vineyards. Phew! So what makes it so special? First of all, the gravels are free draining and have low fertility, which results in low vigour vineyards where the vines concentrate their efforts on ripening fruit rather than producing lush vegetation. Second, the temperatures here are a vital couple of degrees higher than other parts of Hawkes Bay, as a result of the gravelly soils acting as a sort of thermal blanket, warming up and then radiating heat, as well as the shelter the location enjoys from the coastal breezes. Because the soils are so free-draining, it isn’t possible to establish vineyards here without irrigation, and while established vineyards can be managed with just a little judicious watering, viticulture here isn’t possible without any irrigation at all. Thus we have an interesting example of a world class terroir, where some human input in the form of irrigation is an essential feature of this terroir. But, looking at this from a slightly different perspective, the thing that makes the Gimblett Gravels so special is the quality of wine produced here. The focus is on Bordeaux varieties, principally Merlot, but also Cabernet Sauvignon, and a bit of Malbec and Cabernet Franc. The results are fantastic. Syrah, however, is also producing some really exciting results, even though there isn’t all that much of it. Gimblett is mainly red wine territory, but some Chardonnay and Sauvignon Blanc are grown. 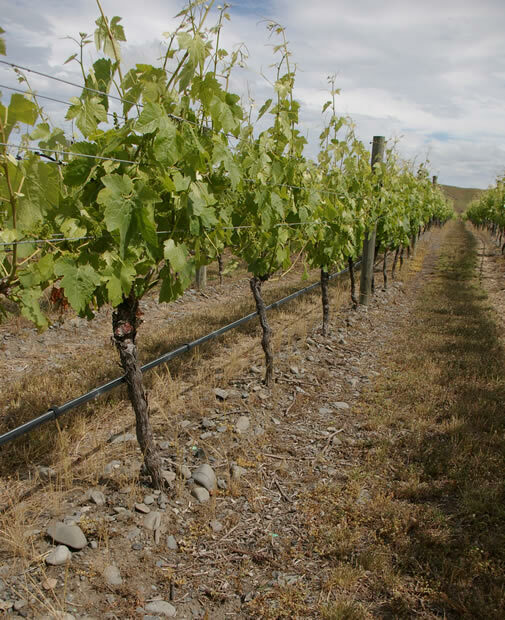 For an excellent in-depth view of the Gimblett Gravels terroir, see this paper by Steve Smith.